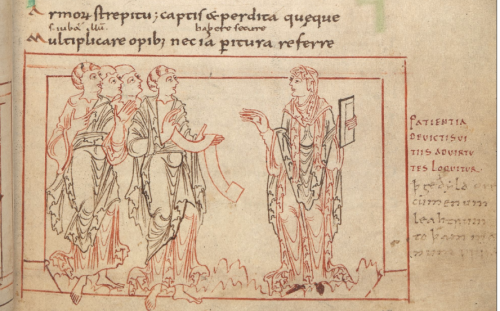 To coincide with the British Library’s Anglo-Saxon Kingdoms exhibition, the Library is holding a two-day international conference with papers by leading scholars in the fields of history, literature and art history. This will be followed by a one-day symposium for early career researchers on 15 December. 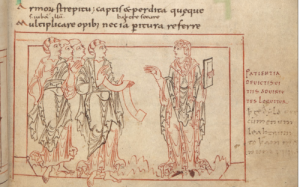 These multidisciplinary, international events will re-evaluate the roles and uses of writing, manuscripts and inscribed objects in early medieval England and beyond, during a period when uses of writing and writing technologies changed and expanded considerably. 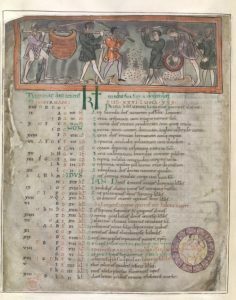 Papers will cover libraries and readers, objects inscribed in runes, highly illuminated manuscripts, literary manuscripts and documentary writing up to Domesday Book. The papers will place the Anglo-Saxon kingdoms in wider geographical, cultural and political contexts. The conference will begin with a keynote lecture on ‘The European context of manuscript illumination in the Anglo-Saxon kingdoms, 600–900’, given by Professor Lawrence Nees, and will conclude with a second keynote lecture on ‘Exon Domesday, the English and the Normans’, by Professor Julia Crick. The conference will also include a private view of the exhibition. Two-day tickets are available for the International Conference only, on Thursday 13 and Friday 14 December. Three-day tickets are available for the International Conference on Thursday 13 and Friday 14 December and the Early Career Symposium on Saturday 15 December. Past & Present is pleased to support this event and others like it. Applications are welcomed from scholars of at all career stages working on all time periods. Other sponsors aside from the hosting institution are The Polonsky Foundation, Patrick Donovan, The Association for Manuscript and Archive Collections.